Yorkshire house prices in maps and graphs. 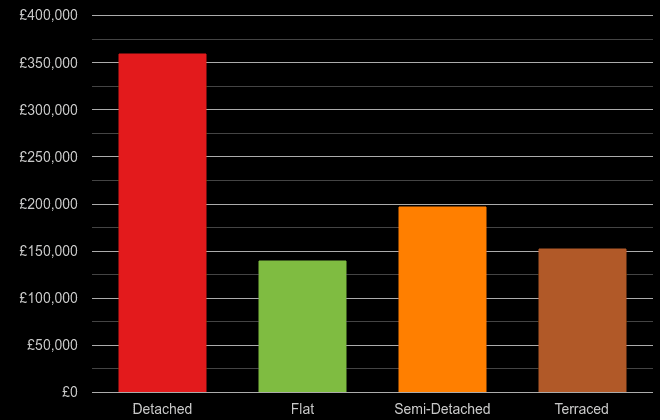 shows the average property price in a given county between March 2018 - February 2019. 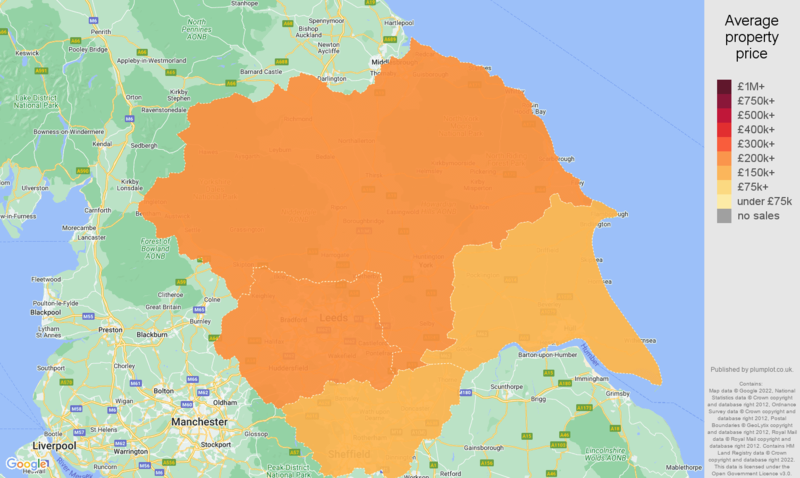 The most affordable place was 'East Riding of Yorkshire' with the average price of £170k. 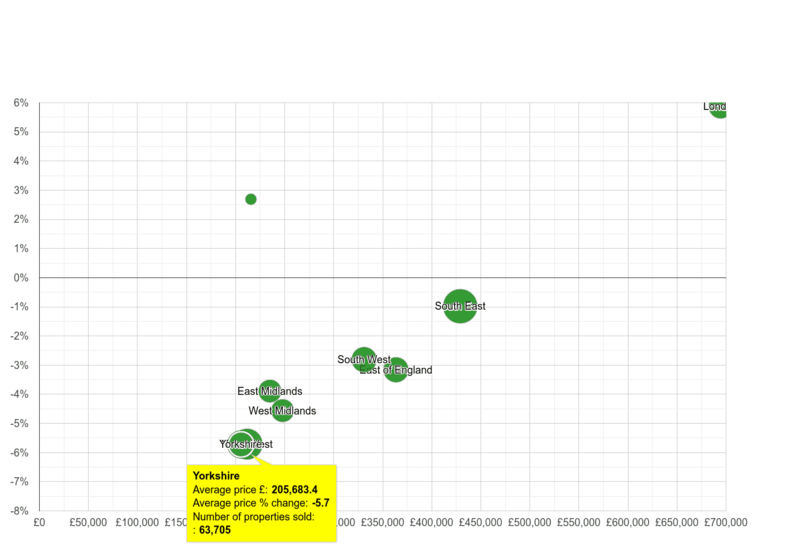 The most expensive place was 'North Yorkshire', £227k. 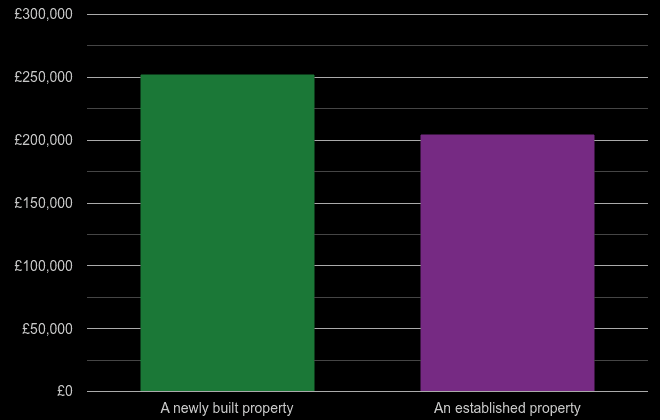 Comparison of the average property price and an average price percentage change by region. Price % change compares the average property price between March 2018 - February 2019 to the average price in the previous 12 months. 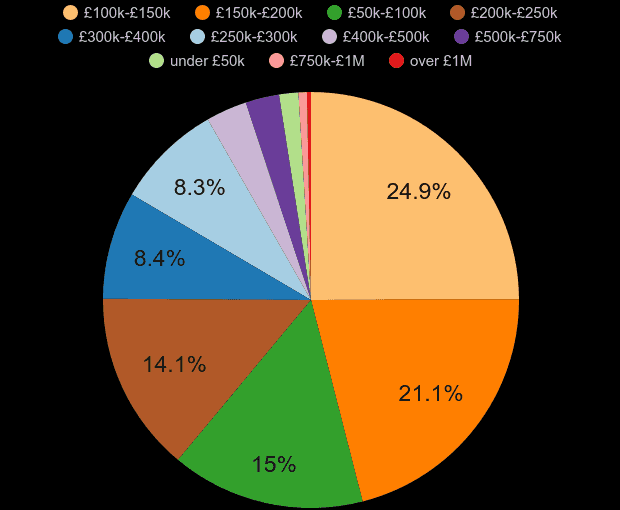 The size of the circle shows the number of property transactions. The bigger the circle the higher the sales volumes in region. With the average price of £187k, Yorkshire is the 3. cheapest region out of 10 England and Wales' regions.